Hydraulic over electric disk breaks, breaks on each wheel, chrome wheels, Mich tires, custom built by VIP Trailers for 38-44ft boat. Was used five times for five different boats. Pleas eprovide your own way of shipping. 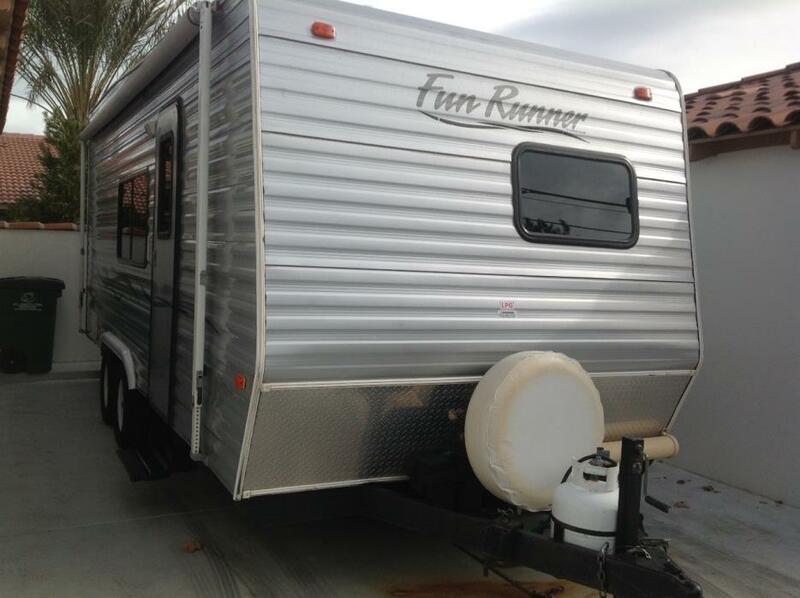 18' awning, 2 sofa/beds, new tires, new 6v batteries, clear 14' cargo area will take 4 seat sand rail, in good condition. Also have 2011 Polaris Xp 900, $10,500 and 2004 Honda 400 EX Quad $1,100, both in XLNT condition! Hit the trails for $18,000 package deal! That is less than a new UTV! All or part. 2003 PJ Trailers Cycle Quad Utility Trailer - 14' x 6'5" Single Axle Trailer w/ Loading Ramp & Spare Tire. Perfect for Quads, Motorcycles, etc. 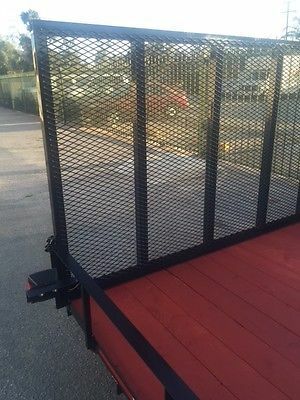 2014 enclosed cargo trailer. MC quad carpentry. 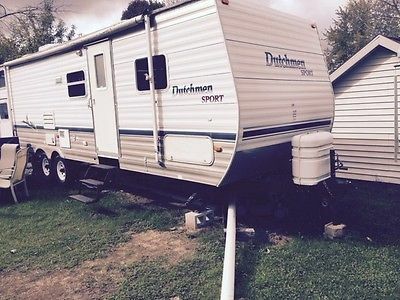 2004 Dutchmen 31 B is a 31 travel trailer with one slideout and four bunks in the rear. The large slideout in the kitchen and living room has a couch that pulls out plus a dinette booth that is in the slide that sleeps 2 kids-Bedroom is great with the queen bed and there is plenty of space in the bathroom with a fiberglass Tub/Shower. I appreciate the four bunks in the rear end and also the hanging closet with three large drawers under the closet. I love the central Air Conditioner, the forced air furnace, the stainless steel look on the refer which is 8 cubic foot that runs on gas and electric.What I love also love about this trailer is the room in the living area--simply amazing. Has a sofa in the living room on slide that can sleep 2 kids or a mom and pop that truly love each other. 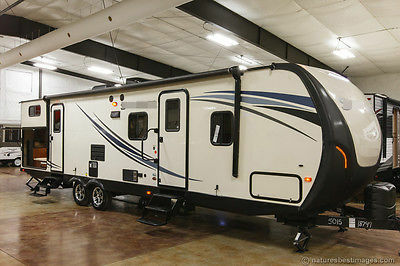 With the slide out open in this 31 footer it truly is a great place to enjoy.--I appreciate the cabinet space in the interior, the queen bed in the front,the spare tire that is connected to the bumper, Trailer will come with a charged auxiliary battery and propane tanks will be full. Has the pak and play door in rear Door Side for storage of bikes in bunk area. Text me at 574-849-4320 for questions or call me at 1-800-896-9227 Midwest RV Connection offers full demonstration in my customer campground before we finalize the deal. I offer your deposit money back if you are not satisfied so have confidence buying from me today. Discounts happen here and I offer integrity in all of my sales. I aim not to be only the cheapest place to buy an RV for less but also the best with excellent service. Midwest RV Connection was started in 2005 and thrives to treat the customer like a king. Contact me for all information at 574-849-4320 or 1-800-896-9227. Texting is fine but calling is preferred. Specification Description Length 33'0" Width 8'0" Height 10'11" Hitch Weight 882 lbs Dry Weight 6,968 lbs Gross Weight 9,682 lbs Cargo Weight 2,714 lbs Fresh Water Capacity 47 gals Grey Water Capacity 30 gals Black Water Capacity 30 gals Furnace BTU 35 Tire Size ST205/75R15D This 2004 Dutchmen 31 B Sport with large slid sleeps 10. Has a Stove and gas and electric refrigerator. All components are in working condition. Unit will be available to pick up a few days after the auction is completed but I do offer free winter storage. I will be happy to deliver it free 150 miles from the 46517 zip code and those traveling from East/South or West meeting in Indianapolis is a possibility. Also this can happen in the spring as well with my free winter storage option. I would also be willing to deliver it to your local campground in April. Please text me at 574-849-4320 for any questions. Immediate deposit once committed to on Ebay and purchase needs to be completed within 7 days of auction ending. JUST TOOK IN ON 11/01/2014 HENCE THE SNOW!! 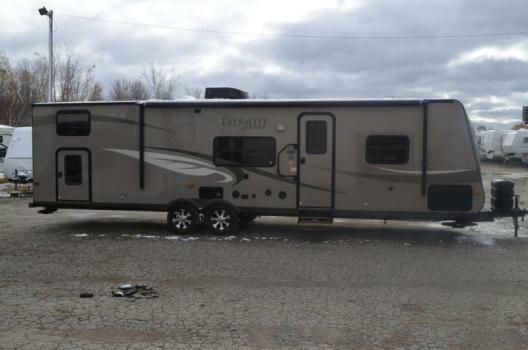 Like new 2010 Everlite 33QB Evergreen travel trailer.Great condition, smoke free,a/c, heat, 2 fans, large refrigerator, power awning, heated and enclosed underbelly tanks. Refrig and hot water have electric and propane options. Flat screen tv on rotating entertainment center- view from living room or master bed. Living room slides out. Stereo/dvd/cd player. Full queen bed for master, folding couch, kitchen table converts to bed, and 4 bunk beds. Bathroom with toilet, sink, and shower with tub. Huge under bed storage.2 propane tanks, battery. Sold for 36k selling for $14,995 Camper eco friendly, no off gases. 40 gal fresh water, 29 gal grey water, 29 gal black water. Must see great deal!!! ***ONLY 5800 LBS! *** ***AS LOW AS $169 A MONTH WITH APPROVED CREDIT! 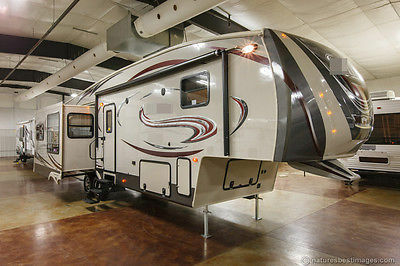 *** ***PURCHASE NOW AND WE WILL STORE YOUR NEW RV UNTIL MARCH 1ST FREE!! ** *CALL OR TEXT BRIAN 24/7 @ (810)965-2159 FOR MORE INFORMATION*** ***LET OUR FINANCE DEPARTMENT GET YOU APPROVED! WE HAVE OVER 15 LENDERS AND WE SPECIALIZE IN ALL CREDIT TYPES*** ***NEVER A PREP FEE AT TRADEWINDS RV*** ***WE SHIP NATIONWIDE! REASONABLE RATES! *** ***BRING THIS AD IN AND ASK FOR BRIAN AND GET A FREE PATIO MAT WITH YOUR NEW RV PURCHASE! *** About This Dealership:Welcome to Trade Winds RV Center As one of the largest RV dealers online, Trade Winds RV Center has the perfect selection of recreational vehicles for you! If you're looking for a motorhome of park trailer, feel free to check out the wide selection of reliable RVs from Coachmen, Forest River, Jayco, and more! We have so many Fifth Wheels, see for yourself, but here are just a few brands: Cardinal, Chaparral, Eagle, Pinnacle, Trilogy, and Wildcat. 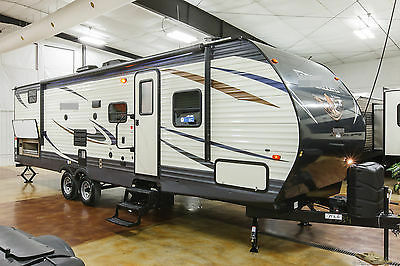 We also have a HUGE selection of travel trailers and pop ups in stock and at sale pricing. At Trade Winds RV Center, we are 100% certain we have the right unit to fit your lifestyle needs perfectly. THIS TRAILER IS APPROXIMATELY 20 YEARS OLD BUT HAS NOT BEEN USED FOR THE LAST 5 YEARS OR SO. IT WAS A ONE OWNER UNTIL WE PURCHASED IT. THERE ARE A FEW DENTS HERE AND THERE BUT NOT BAD AND THE TIRES ARE WORN BUT IN GOOD CONDITION. THE OVER ALL LENGTH IS 16' WITH THE BOX MEASURING 6' 5" WIDE X 12' 10" LONG. INSIDE HEIGHT IS 78" TALL. IT HAS A BULLDOG HITCH THAT WORKS GREAT AND WEIGHS ABOUT 1000LBS. DOES NOT REQUIRE A TITLE IN OREGON BECAUSE OF WEIGHT BUT WILL INCLUDE A BILL OF SALE. THE INSIDE COMES WITH A SMALL WASH SINK AND IS WIRED FOR 110V. IT ALSO INCLUDES A SMALL WORKBENCH UP FRONT. PREVIOUS OWNER HAULED 3 DIRT BIKES SIDE X SIDE AND CAN HAUL A SMALL QUAD WITH 1 MOTORCYCLE. THIS TRAILER WOULD ALSO WORK GREAT FOR A CARGO OR UTILITY TRAILER. IT HAD SOME LEAKAGE AROUND THE TOP VENT BUT I AM WORK ON REPLACING THE PANEL AND RESEALING THE VENT. COULD NOT FIND ANT OTHER LEAKAGE. IT ALSO COMES WITH AN AWNING AND POLES. THE AWNING ATTACHES TO AN AWNING RAIL ON THE RIGHT SIDE OF THE TRAILER AND WORKS GREAT FOR HOT DAYS. I DO NOT KNOW THE MANUFACTURER BUT THE TRAILER IS VERY SOLID. PLEASE FEEL FREE TO CALL ME AT 541 523-4463 OR MSG ME WITH ANY QUESTIONS. THIS TRAILER IS BEING SOLD AS IS SO PLEASE ASK QUESTIONS IF YOU HAVE ANY. WE ARE LOCATED OUT SIDE OF JOHN DAY/MT VERNON AREA IN EASTERN OREGON. GOOD LUCK AND BE SAFE. THANKS FOR LOOKING. WILL POST MORE PICTURES AS SOON AS POSSIBLE OR UPON REQUEST.